We recently visited New York. Visiting the Statue of Liberty was the highlight of our trip. As British people spending six months in both the USA and Canada, the Statue of Liberty truly epitomized for us the amazing spirit of the USA. 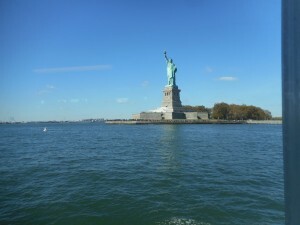 The picture was taken from the ferry that took us to see the statue at close quarters. 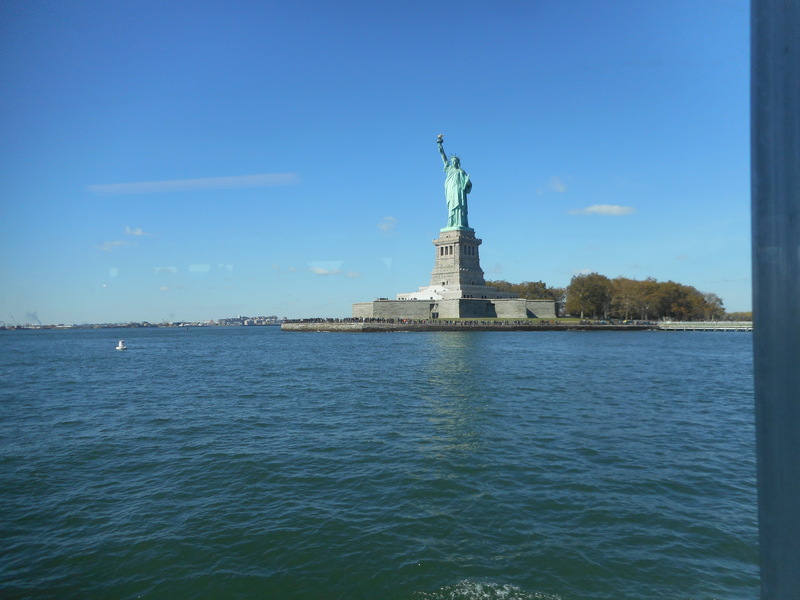 We sensed how it must have felt to the millions of immigrants over the years for whom the first sight of their new home would have been the statue as they entered the waters of New York aboard the ships on which they had traveled. We found it a moving experience. It was appropriate that shortly after leaving New York, we attended a two hour performance of Riverdance in Seattle. Riverdance epitomizes the music, song and dance of Ireland, a country that has provided so many immigrants to the USA. The original seven-minute version was first performed as the interval act at the Eurovision Song Contest viewed by a worldwide audience of three hundred million people. It was an energetic and unique Irish dance show that captured the imagination of the world and for the ensuing twenty years has grown and performed in cities all over the world. In June 2013 First Lady Michelle Obama and her daughters attended a special performance of Riverdance in Dublin, staged in honor of their visit to Ireland. We had both wanted to see the live show but it had never been possible until their performance in Seattle coincided with our being there. 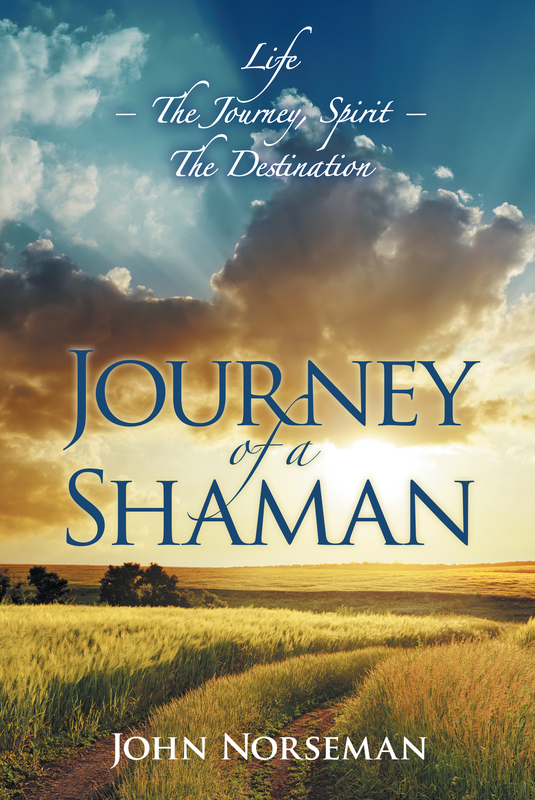 Words cannot describe the positive energy, spirituality and emotions portrayed in the dancing, the music and the songs. We hope that some idea of the magic of the show will come across in the following snippets from the show. “The Heart’s Cry: I am that deep pool, I am that dark spring, Warm with a mystery, I may reveal to you. Riverdance: I am living to nourish you, Cherish you. I am pulsing the blood in your veins. Feel the magic and power of surrender to life. American Wake: How can a tree stand tall, If the rain won’t fall, To wash its branches down? How can a heart survive, Can it stay alive, If its love’s denied for long? Trading Taps: Tall and straight my mother taught me. This is how we dance. We would recommend taking time out to watch Riverdance if ever you have the opportunity.